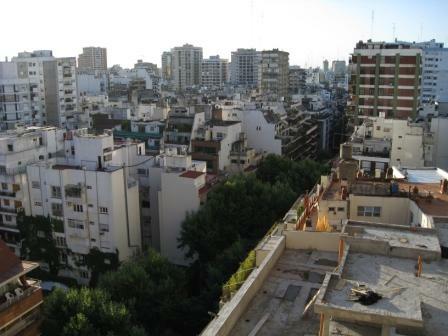 The landscape of Buenos Aires apartments is one of the characteristics that make the city for me. 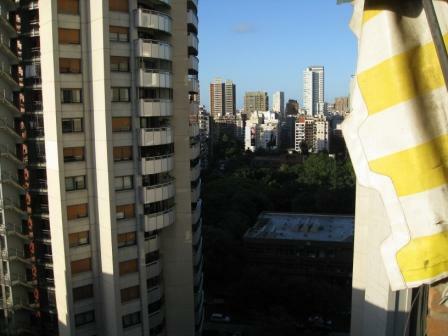 I have never lived in a city where the apartment buildings and city blocks have had such character. Looking out over the city is akin to watching a bee hive. After reading my last post, my mom was concerned that something was wrong. Things are going well; I can be a melancholy person. Missing old friendships, casualties of moving abroad. This week I have been visiting V. at her fruit and vegetable stand, drinking mate and chatting. This summer she is studying English, so I’m able to help her with my language. She has one British professor and one American professor at the institute, so we make fun over their fight for her to pronounce English words the “correct” way. I have some news on a big move coming up but don’t feel ready to share just yet. The move is in a week. Good Lord. I am still looking at our food shelves and trying to create a strategy to use everything up. I’ve done a good job of finishing the oatmeal and Nutella. Couscous? Not so much. Our time in Buenos Aires is limited, so I’ve decided to capture some of the city’s beautiful graffiti before I reach the point of departure and regret. The air is still pretty chilly but proper walking weather, especially in the early afternoon sun. I took these photos on the way to meet the lovely Tango Goddess (TG) for a vegetarian lunch in Palermo Hollywood. TG has the inside story on the best restaurants in town. She can also dish delicious secrets on milonga life.